With a host of Roman ruins to get to grips with, including one of the best-preserved amphitheaters in existence, Pula is a great option for anyone looking to get their fill of two-millennia-old historic sights. 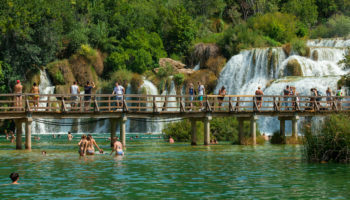 Set on the Istrian Peninsula, Pula boasts unique cuisine, dramatic scenery, and stunning beaches for seaside pursuits. 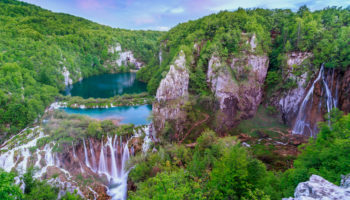 Ferries connect visitors to nearby islands for further exploration, while the train and a number of bus stops allow you to explore the surrounding area of this interesting slice of Croatia. 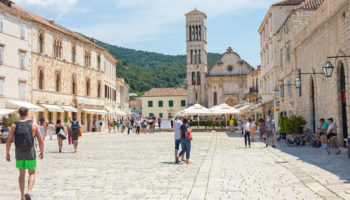 Staying in Pula is also made easy thanks to the selection of accommodation here; if you want somewhere chic and boutique, you’ll find it; and if you’re looking for a family-friendly resort, Pula has that, too. 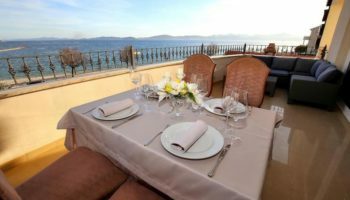 Located in a stunning position just a stone’s throw from the Adriatic Sea, naturally, the views from Boutique Hotel Valsabbion are stunning. It is a super chic mixture of modern and old, with plenty of stylish aesthetics mixed with traditional antique furnishings. There is an outdoor pool surrounded by sun loungers, where you can enjoy massages, too. The entire hotel feels like a cool space, with staff on hand to make you feel at home and help you out with anything you might need. Don’t worry about going hungry; there are plenty of restaurants and bars just on the doorstep of this chic hotel. 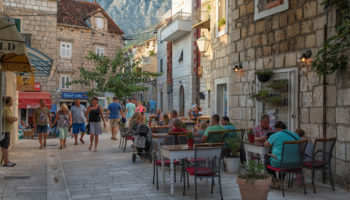 Set inside an old historic building, Hotel Galija has a variety of rooms on offer, meaning there are options for everyone – from compact twin rooms all the way to family suites. Some rooms come with baths, so you can relax at the end of a day of exploring the town. There’s also a hair and beauty salon connected to the hotel if you feel like a makeover. The hotel’s onsite restaurant serves up local Istrian specialties alongside a variety of wines. Conveniently located near Pula’s best sights without being surrounded by tourist crowds, this hotel is close to the Gate of Hercules, and the Roman Theatre is mere moments away. A chic hotel located on the Pjescana Uvala, a few kilometers from the center of Pula itself, Boutique Hotel Oasi is surrounded by the picturesque natural scenery of the area. For a slice of sun, sea, and sand, Histria Beach is just over a mile away. At the hotel, there is an outdoor swimming pool and terrace, plus there is a lot on offer at its restaurant. From breakfast to dinner, you’ll be able to choose from a wide variety of dishes, making this an excellent option for foodies. Though not exactly central, there is a bus stop nearby, so it’s easy to get into Pula or to explore the local area. As you might be able to tell from the name, Resort del Mar is located directly on the seafront in Banjole, two and a half miles from Pula. A spacious holiday hotel with several fittingly large outdoor pools overlooking the sea, it’s a fantastic spot for a family trip. There are various apartments on offer, with different sizes to choose from, all of which include kitchens and balconies. Activities going on daily mean nobody is going to get bored staying here, plus there are two restaurants and even an ice cream parlor to sate your appetite at. 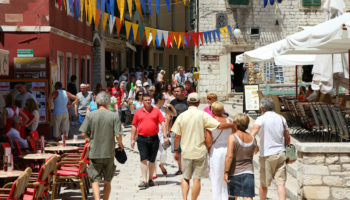 Pula is in easy reach of here, being just a quick bus ride away from the nearby bus stop. Mere steps away from this aptly named hotel is the Roman Amphitheatre for a spot of history. But there’s more than that on the doorstep; Pula Arena and Pula Cathedral are also nearby. The rooms at Hotel Amfiteatar – itself located in a rustic old building – are spacious, decorated with warm colors and soft furnishings for a cozy stay. Each morning, the hotel provides a buffet breakfast of Istrian dishes, which can be enjoyed on the terrace in the summer months. The ferry port is also within easy walking distance of the hotel, meaning island excursions are conveniently embarked on from here. 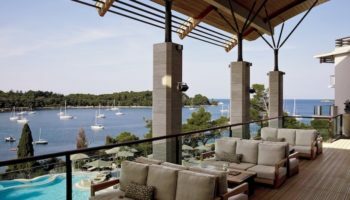 A large resort hotel situated on a stunning promontory overlooking Histria Beach, this place truly has a lot to offer. There are no less than three restaurants to enjoy here, a large outdoor pool, as well as a whole host of activities – from tennis and squash to mini golf and billiards. There’s even an onsite spa for all your relaxation needs. Rooms are contemporary and modern with bright colors. 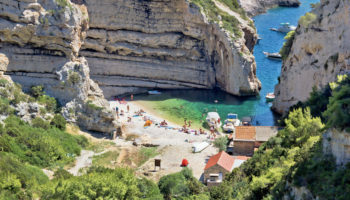 The beach is just steps away from Park Plaza Histria Pula, and if you want to explore the beautiful Veruda Island, the ferry port is also within easy walking distance. Situated inside a historic building that’s been recently renovated, the rooms at City Point are a gorgeous mixture of old and new, with exposed stone walls, whitewashed aesthetics, wood floors, and floor to ceiling windows. 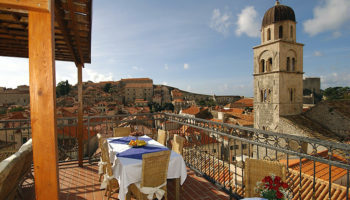 Some rooms even come with their own outdoor terraces featuring views out over the old town rooftops. The location of this hotel is fantastic if you are interested in exploring the old town; the Amphitheater is just five minutes away on foot, as is the Arch of the Sergii. The train and bus stations are also only moments away, making this a great place to stay if you feel like exploring more of the region. This is a huge, modern, and chic place to stay in Pula. There’s an incredible pool, fringed by sun loungers and overlooking the beautiful bright blue Adriatic Sea. This rambling complex features a variety of accommodation, ranging from apartments and studios to regular twin rooms. Spacious and clean, this place also boasts squash and tennis courts; there’s even shops and a supermarket practically next door. 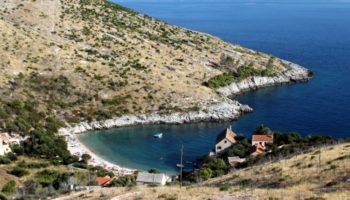 It’s near the historic Verudella Fort, plus Histria Beach is located just a few steps away. Families with children will love the fact that this hotel is located near the fun Water Park Verudela and Aquarium Pula.